Details: Wood porch, decorated columns, dentils at porch and eaves, cornice brackets at eaves, articulated window bump outs, Eastlake scroll work in gable apex, trim and bandboard in lower gable, window wood trim. 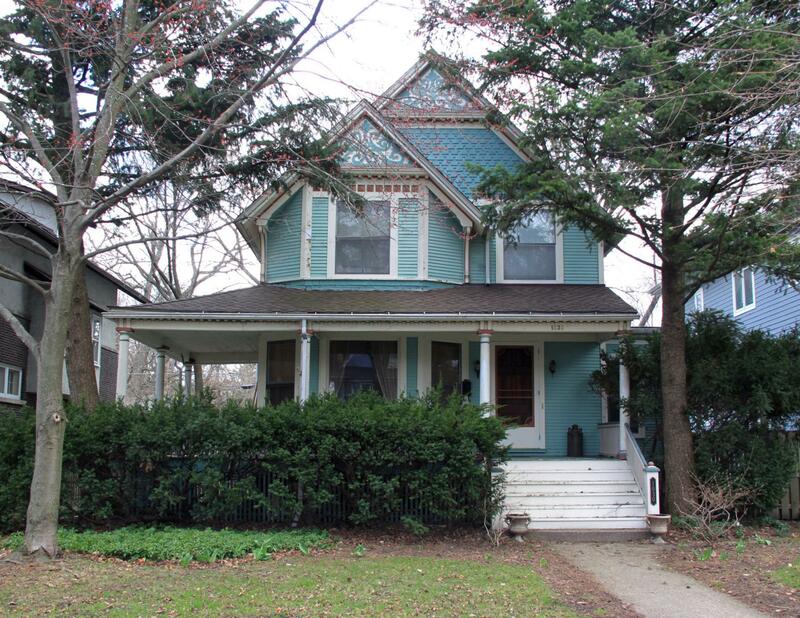 Historic Features: Wrap-around front porch, front bay window with gable pediment and cut work wood detailing, decorative ornate roof brackets, dominant front gable with wood detailing, decorative cut shingles, large chimney, lower gable with window bay, brackets and trim. Exterior Alteration Permits: 08RFS0000000018: Re-roof. COA Info: 08HIS0000000038: Replace roof asphalt shingles on house and attached garage with architectural asphalt shingles (30-year).